Hope you are all well. What a fantastic day we all had at Scór last Sunday week. I want to thank you all again for all the effort you and your clubs put it to making it the successful day that it was. People are still talking about the talent that was on display, the children are a credit to you all. Well done. Next up we have our Scór na nÓg Quiz. It was decided by the Scór Council in Ireland last year to have this as a separate competition on a different day so we are doing the same. We are going to hold this quiz in The Consulate of Ireland, 345 Park Ave, New York. We are thinking of holding it on April 11th, this is a Friday evening probably around 7pm. Let me know if there is a major event happening on this date in your club that would effect the children involved. I am attaching sample questions for each club to help in your preparation for the quiz. Most of these questions will be asked with a few others thrown in. I would encourage ALL clubs to participate as this is a fun filled night for the children. It is also a chance for them to be immersed in Irish history and culture and the GAA. Each participant will receive a medal also. As you may have seen in the booklet on the day of Scór, The New York Irish Center in Long Island City are holding a concert to showcase the talent that appeared in Scor, on Sunday March 23rd. They are very eager to get all clubs involved but unfortunately they cannot have as many acts as we had on that day. But they are hoping that all clubs could put forward twoof their club entries for Sunday March 23rd. This is a great opportunity for the children to get experience in performing in front of a crowd as this will give them more confidence for future appearances. There is no charge for this event. 2. Your club would like to put in two entries for the Showcase in The New York Irish Center onMarch 23rd. 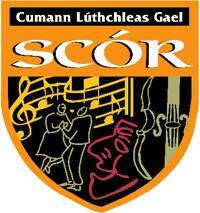 Thank you so much for your continued commitment to Scór na nÓg NY.